Robert W. Starks, Jr. (Bobby) was born to the union of Robert W. Starks, Sr. and Libby Edith Starks on May 21, 1948 in Chicago, Illinois. Robert, Jr. (Bobby) raised in Evanston, Illinois where his early education was in the public school and Evanston Township High School. Robert, Jr. (Bobby) accepted the Lord in 1993 at St. Paul A.M.E. Church where he served faithfully until he became ill. At St. Paul, he was an active member in the St. Paul's choir; Voices of joy and aTrustee. He also enjoyed participating in the annual Men's Day celebrations. Robert, Jr. (Bobby) loved listening to Old School and Gospel music, singing in the choir (and in his basement), laughing and joking, being with his family, having fun with his friends, teaching his grandkids on how to live life to the fullest and giving praise to God, loving his family will all his heart. Robert, Jr. (Bobby) loved sports his favorite team was the Chicago Bears, Bobby was a die hard Bears Fan. He always said "Next year was their year to be in the super bowl". Robert, Jr. (Bobby) was known to all that knew him as a men that was generous with his humor, heart and time. He did not hesitate to support anyone that needed a helping hand. He touched the lives of many people with his smile and warm personality. 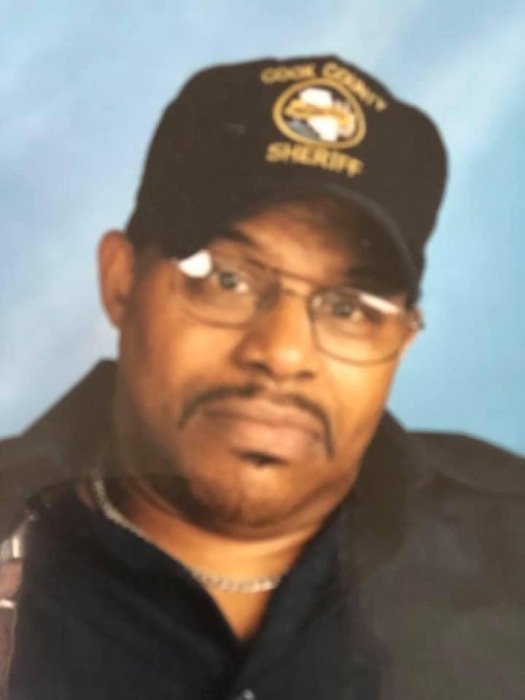 Robert, Jr. (Bobby) was employed by Shaffer Liquors as a delivery driver, a Limousine driver, School District 65 for 17 years, and his last job of employment which he loved, was being a Security Guard for Phoenix Security Inc. for 15 years. Bobby never missed work until he became ill and still continued to work, even though he was often sick. He loved his job very dearly and was greatly hurt when he had to stop working. Robert, Jr. (Bobby) was preceded in death by his father, Robert, Sr., his Mother Libby, Sister Gloria Jean and his Daughter, Devie Starks. He leaves to cherish his memory, a loving wife Patricia, of 49 years, his four beautiful Daughters, Derenda Starks, Kara Starks, Lashaun (Derrick) Taylor and Jayjia Starks. Four Sisters; Patricia Brown, Betty (Jesse) Flores, Katherine Starks and Lorraine Starks. Five Brothers; Jimmy (Frenchie) Starks, Larry (Myra) Starks, Gary Starks, Damon Reed and Jasen (Mercy) Mattesson-Boze', Twelve Grandkids, Eighteen Great-Grand Kids and a host of nieces, nephews, aunts, uncles, cousins and other relatives and friends.